For Canadians, we know well how winter driving in snow and ice can be risky and slow your fleet down. With climate change, parts of the U.S. not previously exposed to such conditions are now occasionally starting to encounter them more often, too. What Does This Mean For Your Fleet? More risk, and lower productivity. Winter conditions result in slippery roads, increased aggressive driving, and increased distracted driving. 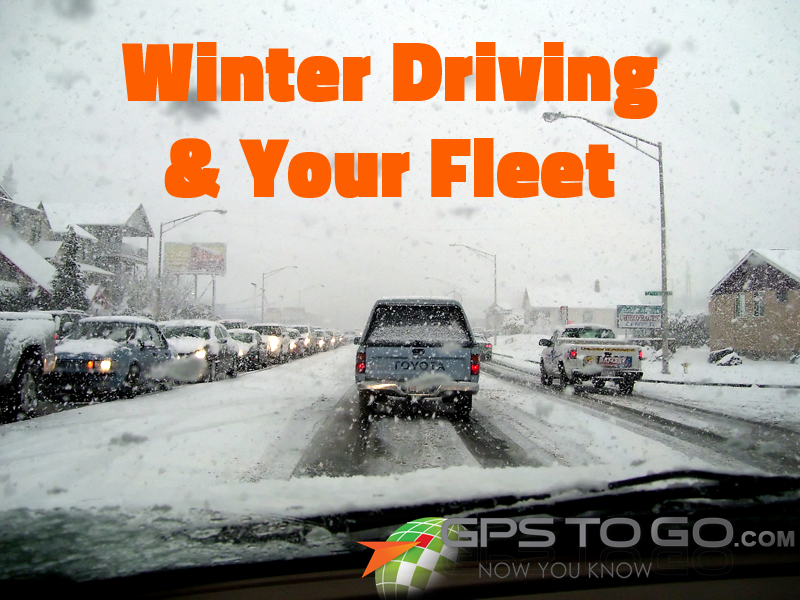 As a fleet manager, it’s your job to ensure the safety of your fleet during such winter conditions. Luckily, our fleet tracking system gives you the means to do so. Through your fleet management software, you can configure the thresholds for various parameters, such as speed, acceleration rate, braking rate, etc. During winter or even just for a severe winter storm, you can lower these thresholds. Therefore, if a driver is used to having a regular max speed of 100 km/h, perhaps during a bad snow storm it is reduced to 70 km/h. Now the driver will receive a beep alert from the GPS tracker device in the vehicle whenever they pass the threshold. These little reminders help keep drivers on their toes and ensure they drive conservatively. Continuing from the above, as the fleet manager you can also receive notifications for whenever these thresholds are exceeded, allowing you to take corrective action or monitor the driver’s performance to ensure they are driving conservatively. You can also be notified to your mobile device of any off-hours vehicle use, allowing you to absolutely ensure that employees do not take unnecessary risks with your vehicles (or with themselves). As the fleet manager, you receive an instant notification (to your desktop and mobile device) alerting you of what has just happened. The notification will also include all the recorded information from the accident, so that you can make the most educated and quick decisions you need to.